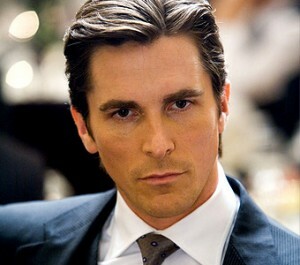 Christian Bale is widely credited for making Batman hip again, especially in the eyes of the younger generation of movie goers. His movie Batman Begins in 2005 was such a big hit that it was eventually followed by two more flicks. Bale also had to bulk up for his role, and the Christian Bale workout earned a lot of buzz among bodybuilders as it made the actor gain pure muscles in just six weeks. What was more impressive with the training program is that Bale ‘s weight had dropped to 125 pounds for a movie called The Machinist. Six weeks later, Bale had to put up 60 pounds more for his role as the caped crusader. It was certainly a big accomplishment for the 6-foot-2 Bale, who had to look bigger for his role as a crime fighting superhero. His workout program consisted only of four days, with the fourth day consisting of stretching and swimming to improve his stamina and endurance. On the first day, Bale focused on building power so he did a lot of pull ups, weight lifting, and chin-ups. He also improved his speed and agility by focusing on high pulls, sprints, squat jumps and reverse lunges on the second day. The third day was for developing strength and power with exercises like dead lift, and bench press, among others. After the fourth day, he would rest one day to relax his body. The workout starts with a superset of chin ups and seated cable rows. The superset is designed to warm up the body for the succeeding heavier power exercises. After doing chin ups, Bale would do seated cable rows of four sets and 12 repetitions. After a brief rest following that superset, Bale would have to do four sets of clean pull up. The first set starts with 10 repetitions, then followed by 8 and 6 repetitions for the succeeding sets. He then finishes the day with four sets of power cleans. He would do 10 repetitions on the first set, then reducing 2 reps in the succeeding sets. To do a power clean stand with your feet shoulder apart. Bend down to grab a bar with the palms facing backward, keeping your chest out and the shoulders back. In doing a power clean, you must rapidly extend your knees, ankles and hips. Once your legs approach full extension you must keep the bar traveling upward, or past your stomach. Once the bar or barbell reaches the sternum level you have to rapidly drop your body under the bar even as you rotate your elbows forward. This would allow the bar to come to rest on the shoulders. Once the bar has been caught on the shoulders, extend your knees and hips further to return the weight to the ground. On the second day, improving speed and agility is the focus of Bale so he starts with four sets of freehand squat jump. Like in the power cleans he would start with 10 reps on the first set then reduce by 2 the repetitions so that by the third and fourth set he would only do 6 repetitions. In doing freehand squat jumps, you must cross your arms over the chest. Keeping your head up and back straight, you squat down as you inhale and the upper thighs are parallel to the floor. Pressing with the ball of your feet, you will have to jump straight up as high as possible. Once you touch the floor go back to the squat position. He then does four sets of the barbell lunge. Each set should have 10 repetitions. On the third day Bale starts with three sets of dumbbell flyes. Each set has 10 repetitions. After that, he proceeds with three sets of 12 repetitions of the Smith Machine Bench Press. Completing the first two exercises would have warmed up the muscles of the upper body, so Bale goes back to the bench to do four sets of the barbell bench press. He will have to do four sets of this exercise, with 10 reps on the first set, 8 on the next set, and six for the last two sets. After day three, Bale would not train so hard. He would remain active though by engaging in cardiovascular exercises like swimming and aqua jogging which would also hasten the muscles’ recovery from the grueling workouts. He would also stretch for 30 minutes. After day 4, Bale would rest completely on the next day. He then goes back to his training by doing the same routines for the rest of the week. So are you ready to follow the Christian Bale workout?